Top site fees paid to Malls & Hotel groups! Do you see at least 400 people a day coming into your business? If yes, then the FREE PLACEMENT program is the program for you! Put more cash into your business. This is a very popular program for our ATM machine company. At ATM Money Machine we do absolutely everything for you! 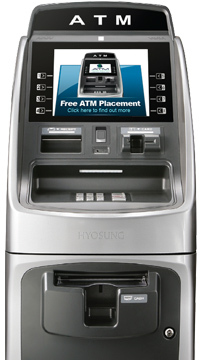 Our ATM machines are from the best ATM machine manufacturers in the country. 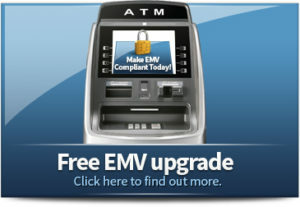 ATM Money Machine, Inc. will develop a comprehensive payment plan for all ATM machines placed. This can be a rental fee or a percentage of transaction fees assessed by the ATM machine. Of course the main benefit is the increase in cash revenue that the ATM machines give you. So you have the benefit of all the new cash spending an ATM machine brings while we maintain it. 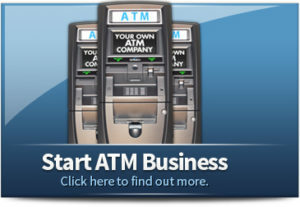 ATM Money Machine wants to be your ATM machine provider. How do I know if I qualify for a Free Placement ATM? Does your business see at least 400 people a day? Does your business have a heavy foot traffic count walking past the business every day? If yes to both, your location could qualify for the ATM free placement program. Does your business not see at least 400 people a day? Don’t worry! 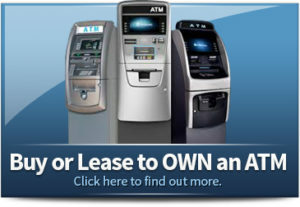 We have very low cost ATM machine lease-to-own option where you can own the ATM machine yourself with almost nothing out of pocket, and you keep 100% of all the profits off of the ATM machine! Contact us today to see what program will best fit your needs!